Flowers are more than a gift as they are a symbol of the love, care and affection. When it comes to love proposal, these beauties never fail to add magic to your relations. Winni has come up with a wide assortment of flowers consisting of red Roses, Orchids, Lilies, Gerberas, Carnations etc to make the moments extra special for you. Each flower will express your emotions in a lovely way. Surprise your dear ones with the online gifts delivery in Faizabad right at your dear one’s doorstep. So, place your order right now. 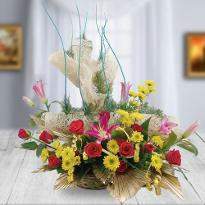 Nothing feels fresher than a fresh floral bouquet with spring fillers to make it attractive and blossoming. Winni has collected some fresh florals to bring new happiness and freshness in your life. Flowers are well known for their beauties. It looks so beautiful that it's hard to ignore. They always spread happiness wherever they are presented. When it comes to gifting, these beauties never fail to add magic into your special days. 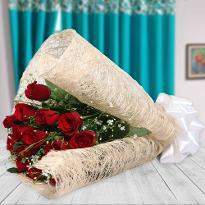 Whatever the special occasion is, be it your birthday, anniversary, father’s day, mother’s day, Valentine’s day, New Year, Christmas, you can surprise your loved ones residing in Faizabad, with the online Valentine flowers delivery in Faizabad via Winni. We at Winni, making your special days, more memorable and joyful by offering a wide range of flowers consisting of Roses, Orchids, Lilies, Gerberas, Carnations etc. Pick the best one you love and buy it for your special one with one mouse click. 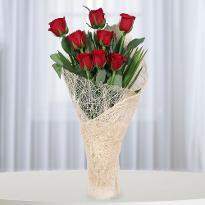 With Winni, you can easily send flowers to Faizabad to your dear one and make them feel special. Our heart-warming floral gifts will sure to leave a long-lasting impression on the recipient’s mind. Visit our website Winni.in and order your surprise right now! Flowers are the great beauties that can win the heart of anyone with its fragrance and attractive appearance. These are the marvels of nature, that not only makes you feel good, but it makes the place wonderful, wherever they are placed. Nothing feels fresher than a home filled with beautiful flowers. Winni brings you the most beautiful flowers that you can place in a vase at your home. It will bring the aura of positivity and make your place better to live. Happy surroundings will cheer up the day and make you feel good. Isn’t it? They make a fabulous gift and make people smile. Its elegance and grace are enough to adore your special days with lovely memories that can be remembered by your near and dear ones for the lifetime. Winni is the right platform as here your every gifting needs are fulfilled. Here we offer you a wide collection of flowers that are ready to add a graceful touch to your celebrations. At Winni, you can easily order and send flowers online to Faizabad to the one living there and missing all fun of celebrations. 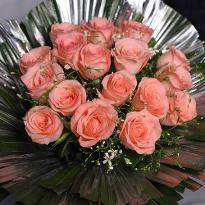 Nothing can beat the charm of surprising flowers delivery in Faizabad right at your dear one’s doorstep.